Headstone stone maker: Doyle Bunclody. 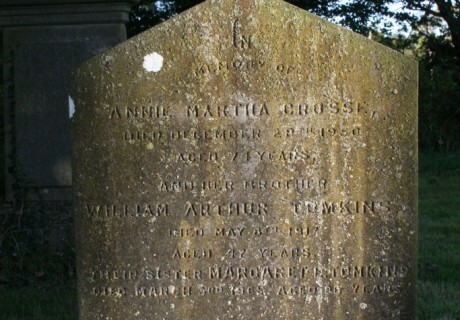 In memory of Annie Martha Grosse died December 28th 1950 aged 74 years and her brother William Arthur Tomkins died May 8th 1917 aged 47 years . 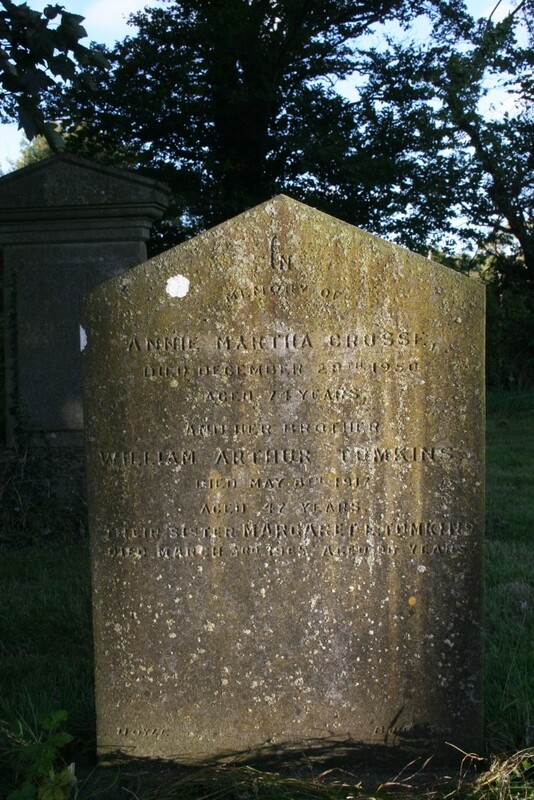 Their sister Margaret E. Tomkins died March 3rd 1965 aged 90.